The Reserve Bank of India (RBI) asked all banks on to clinch that all the transactions at their branches and currency sternum are done under proper CCTV espionage to avert variance and promote transparency in transactions. RBI asked to conserve recordings of their operations from November 8th to December 30th. 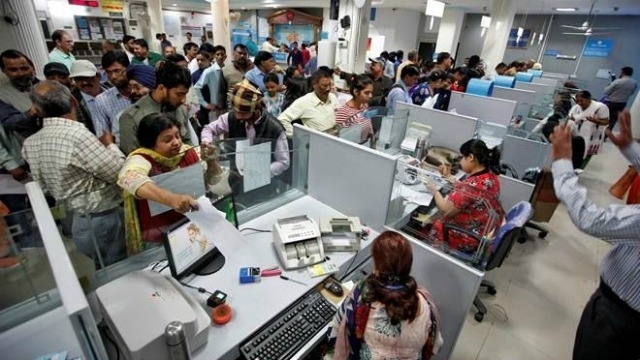 The RBI decided after the income tax department and investigating agencies found several bank officials across the nation appease in malpractices. Addressing in a press meet, SS Mundra (RBI Deputy Governor) said while banks have inoculate INR 4.61 Lakh Crores into the system, that they collected old currency notes amounting to INR 12.44 lakh Crores till December 10th. Till now as many as 21.8 billion currency notes of various denominations have been issued, of which 20.1 billion were of INR 10, INR 20, INR 50 and INR 100 denominations. Around 1.7 billion of the notes issued were of INR 500 and INR 2,000 denominations, Mundra said. The RBI has instructed that contrariety would be pursued through an internal audit mechanism. RBI supervisors are also carrying out similar operations on various data points of banks and due action will be taken whenever mistimed transactions are noticed, Mundra added. RBI has already mandated banks to maintain branch wise reports of counterfeit cash detected among specified currency scrapped INR 500 and INR 1,000 notes which are deposited till December 30, 2016. Banks also been asked to send it a report on counterfeit notes detected between November 10th and December 9th by Friday.